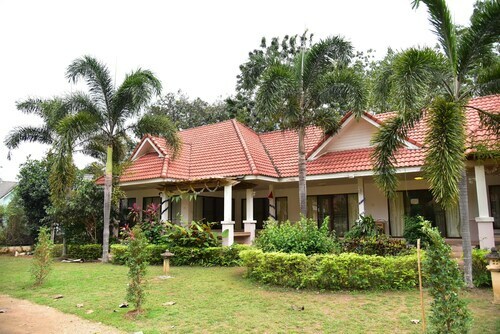 Located in the heart of Nakhon Ratchasima, this eco-friendly hotel is 0.5 mi (0.9 km) from Rajamangala University of Technology Isan and within 3 mi (5 km) of Maharat Nakhon Ratchasima Hospital and Maha Weerawong National Museum. Terminal 21 Korat and Tesco Lotus Korat are also within 6 mi (10 km). Situated in Nakhon Ratchasima, this hotel is within a 15-minute walk of Rajamangala University of Technology Isan and Centralplaza Nakhon Ratchasima. Terminal 21 Korat is 2.4 mi (3.9 km) away. 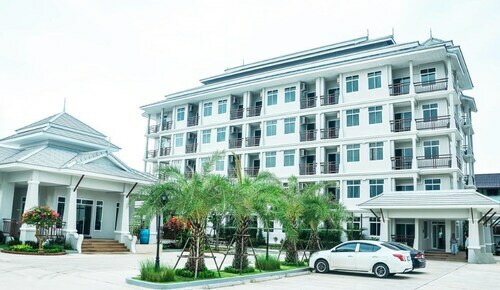 Situated in Nakhon Ratchasima, this hotel is within 1 mi (2 km) of Nakhon Ratchasima Rajabhat University, Rajamangala University of Technology Isan, and Centralplaza Nakhon Ratchasima. Terminal 21 Korat is 2.5 mi (4 km) away. 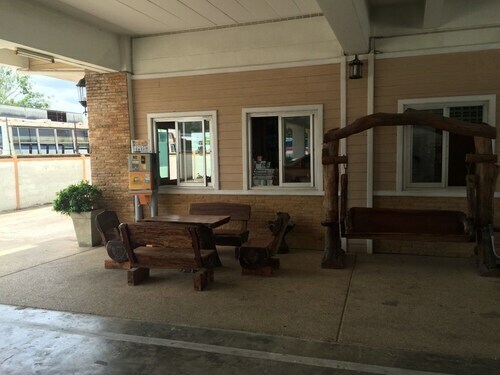 Situated in Nakhon Ratchasima, this hotel is within a 15-minute walk of Nakhon Ratchasima Rajabhat University, Centralplaza Nakhon Ratchasima, and Rajamangala University of Technology Isan. Terminal 21 Korat is 2 mi (3.2 km) away. 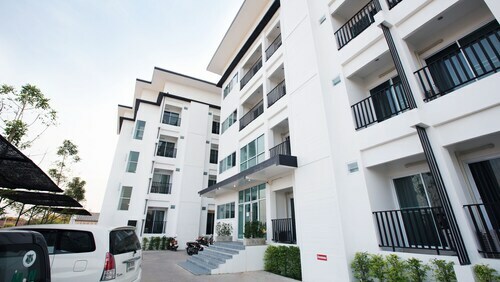 Situated in Nakhon Ratchasima, this hotel is within 1 mi (2 km) of Suranari Wittaya School and Terminal 21 Korat. Rajamangala University of Technology Isan and Centralplaza Nakhon Ratchasima are also within 3 mi (5 km). Nakhon Ratchasima Station is 24 minutes by foot and Nakhon Ratchasima Thanon Chira Junction Station is 29 minutes. 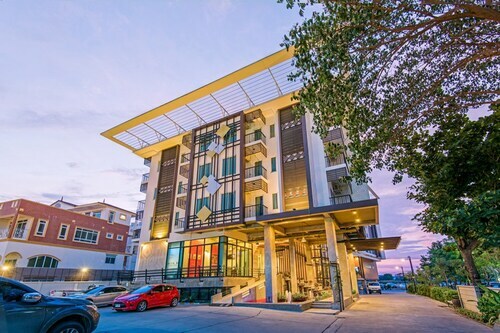 Situated in Nakhon Ratchasima, this hotel is within 3 mi (5 km) of Centralplaza Nakhon Ratchasima, Rajamangala University of Technology Isan, and Terminal 21 Korat. Nakhon Ratchasima Rajabhat University and Maharat Nakhon Ratchasima Hospital are also within 3 mi (5 km). Situated in Nakhon Ratchasima, this hotel is within a 15-minute walk of Rajamangala University of Technology Isan and Centralplaza Nakhon Ratchasima. Terminal 21 Korat is 2.3 mi (3.7 km) away. 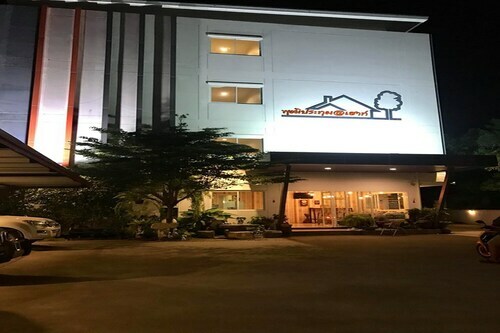 Situated in Nakhon Ratchasima, this hotel is 1.1 mi (1.8 km) from Rajamangala University of Technology Isan and within 3 mi (5 km) of Maharat Nakhon Ratchasima Hospital and Terminal 21 Korat. Maha Weerawong National Museum and Tesco Lotus Korat are also within 6 mi (10 km). 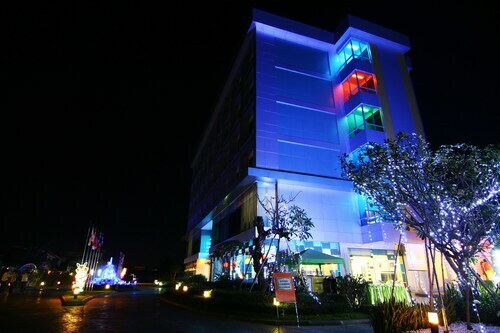 Situated in Nakhon Ratchasima, this hotel is within 1 mi (2 km) of Nakhon Ratchasima Rajabhat University, Centralplaza Nakhon Ratchasima, and Rajamangala University of Technology Isan. 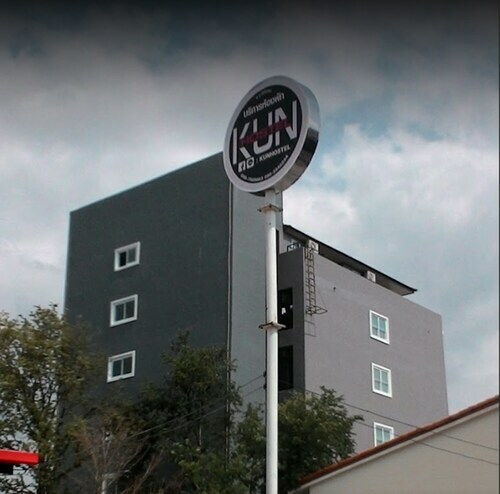 Terminal 21 Korat is 2.2 mi (3.5 km) away. Situated in Nakhon Ratchasima, this hotel is within a 15-minute walk of Centralplaza Nakhon Ratchasima and Rajamangala University of Technology Isan. Terminal 21 Korat is 2.2 mi (3.6 km) away. 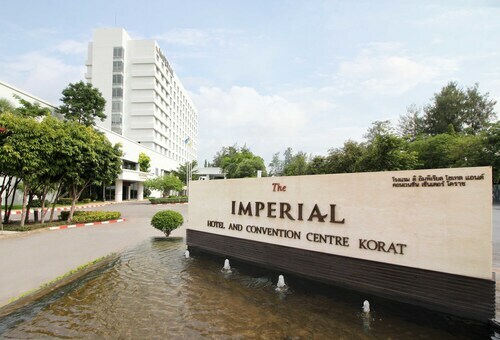 Situated in Nakhon Ratchasima, this hotel is within 2 mi (3 km) of Suranari Wittaya School, Rajamangala University of Technology Isan, and Terminal 21 Korat. Centralplaza Nakhon Ratchasima is 1.8 mi (2.9 km) away. Nakhon Ratchasima Thanon Chira Junction Station is 27 minutes by foot. Located in the heart of Nakhon Ratchasima, this hotel is within 1 mi (2 km) of Maharat Nakhon Ratchasima Hospital and Centralplaza Nakhon Ratchasima. Rajamangala University of Technology Isan and Terminal 21 Korat are also within 2 mi (3 km). Gather your fellow travelers and head on over to Rajamangala University of Technology Isan, a popular place to make use of your vacation time. To reach it, head to Nakhon Ratchasima, 140 miles (225 kilometers) from the capital of the nation, Bangkok. Are you only here for a short amount of time? Make a reservation at one of the 6 accommodations that can be found within 2 miles (3 kilometers) of Rajamangala University of Technology Isan. 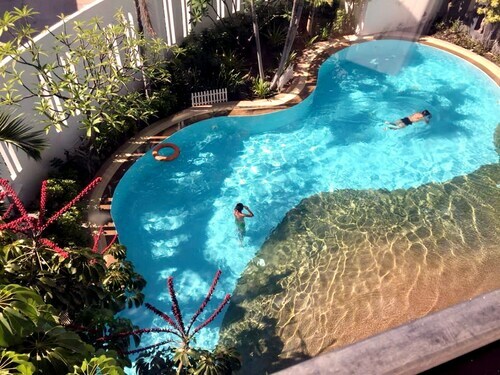 The Dusit Princess Korat, the U-Sabai Park Resort and The Change All Suites are a few that are popular, and they're only 0.3 miles (0.5 kilometers), 1 mile (2 kilometers) and 1 mile (2 kilometers) away, respectively. Take a quick drive of 4 miles (6 kilometers) and you will locate the Sima Thani Hotel, an impressive choice if it's time to pamper yourself. If you need a brief pause from enjoying Rajamangala University of Technology Isan, take the short stroll to Café Amazon for a freshly brewed cup of coffee. Also in the vicinity is ข้าวต้มสามารถ, a popular eatery that serves up a selection of hearty meals. Any traveler who loves a drink or two can also visit สนามเว่า, yet another brief walk away. Enjoy the impressively serene and spiritual atmosphere that surrounds Wat Salaloi. Discover more about the local culture and religion and maybe even recite your own prayer at Wat Phra Narai Maharat. Head over to enjoy the remarkably serene and spiritual atmosphere that surrounds Wat Phayap. From extraordinary figures to memorable moments in time, Maha Weerawong National Museum houses exhibits that are always worth a look. Terminal 21 Korat is a popular retail destination, offering an impressive range of stores and eating options. How Much is a Hotel Room in Rajamangala University of Technology Isan? Hotels in Rajamangala University of Technology Isan start at $11 per night. Prices and availability subject to change. Additional terms may apply.